I met Mitch at The Brixton. 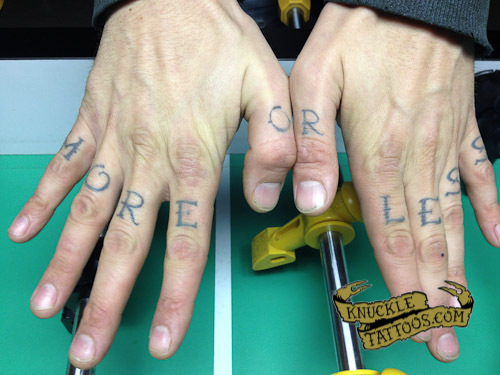 His knuckles say more or less what they mean. these are my knuckle tattoos. all the way across. kiss or kill, a line from the song “we’re desperate” by the band X. my favorite song by one of my favorite bands. kiss or kill black or white do or die. need i say more? done by phil colvin owner of memorial tattoo atlanta ga.